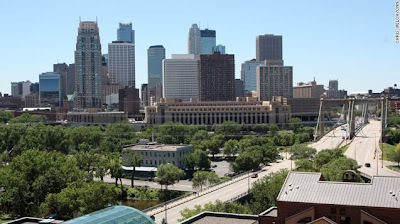 LOL/OMG: CNN calls the Twin Cities "hot for summer"
CNN just did an online feature extolling the virtues of the Twin Cities as a great place to visit in the summer. Read on for mentions of Jetset, First Avenue, the Fitzgerald Theater, the Guthrie Theater, and Aster Cafe. The article also mentions that Minneapolis was named No. 4 on National Geographic Traveler's 10 best summer destinations in the world. Can it be summer now, please?